6. Tornadoes do not cross bodies of water, thus a river or a lake will protect me. Simply put – tornadoes over water are called waterspouts. 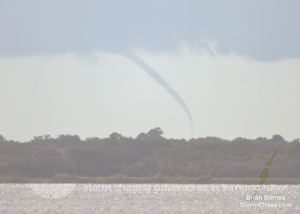 There are two basic types of waterspouts, those that are associated with a mesocyclone and those that are not. Those that are, are the same type of tornado that forms from supercell thunderstorms. A body of water such as a river or lake will not protect your home. The tornado will simply just cross it and just become a “tornado over water” or a “waterspout” until it reaches land again.